Shooters Union notes in Section 7 that in an occupational setting it can be argued that personal protection may be a genuine reason for a weapon of this type. “This is of some significance given that the Respondent contended that personal protection cannot, in point of law, constitute an occupational requirement pursuant to s 11 of the Act (and relied upon the decisions of Osborne v Commissioner of Police, New South Wales Police Service (Osborne) and Bergmann v Commissioner of Police (Bergmann). In light of the Applicant’s stated position, it is unnecessary to decide this point. Nevertheless, I consider it arguable that, if it is a genuine requirement of an applicant’s occupation that he or she have use of a weapon for personal protection, s 11(c) may be satisfied. First, each of Osborne and Bergmann were based on the weapons legislation in the respective states of New South Wales and Western Australia which expressly provided that an applicant does not have a genuine reason for possessing or using a firearm if the applicant intends to possess or use the firearm for, amongst other things, “personal protection”. No corresponding provision appears in the Act. 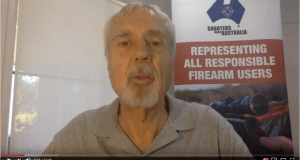 The Respondent’s decision to reject the Applicant’s application under the Weapons Act 1990 (Qld) to renew his Concealable Firearms Licence is set aside. The Applicant’s application to renew his Concealable Firearms Licence is approved. (c) the weapons the subject of the licence are to remain in secure storage at all times save when being possessed or used in accordance with the licence, unless otherwise authorised, justified or excused by law. The Applicant has applied to review a decision of the Respondent made on 3 October 2017 (the Decision) rejecting the Applicant’s application to renew a Concealable Firearms Licence dated 17 April 2017 and lodged on 5 July 2017 (the Firearms Application). The Applicant had been the holder of a Concealable Firearms Licence under the Weapons Act 1990 (Qld) (the Act) between 17 February 1992 and 2 October 2017. The Firearms Application related to two weapons being a Sturm Ruger .357 calibre handgun (revolver action) and a .357 calibre Smith and Wesson handgun (revolver action). The stated “Genuine Reason” for the licence was “Occupational Use”. The Decision is a “reviewable decision” pursuant to s 142(1)(aa) of the Act being a decision refusing to renew a licence under the Act. The Tribunal has jurisdiction to review the Decision by virtue of s 142(2) of the Act and s 9(1) and s 9(2)(b) of the Queensland Civil and Administrative Tribunal Act 2009 (Qld) (the QCAT Act). The Respondent did not contest that the requirements of s 10 of the Act had been satisfied by the Applicant other than the requirement set out in s 10(2)(f). The Respondent contended that the Applicant did not have a reason mentioned in s 11 of the Act to possess a concealable firearm namely, a .357 calibre handgun. The Respondent accepted that the Applicant was a fit and proper person to hold a licence under the Act. I find this to be the case not only on the basis of the Respondent’s concession but also having regard to the Applicant’s employment history, “Community Contributions” and his “Firearm Familiarity” as set out in the Applicant’s statement dated 14 March 2018. Section 11 of the Act sets out the specified reasons for possession of a weapon. The particular reason relied upon by the Applicant was that contained in s 11(c) namely “an occupational requirement, including an occupational requirement for rural purposes”. As I understood the Respondent’s case, it was not disputed that the Applicant had an occupational requirement for possession of a weapon but that such requirement would be satisfied by possession of a rifle rather than a handgun. The Applicant and his wife operate the Koorana Crocodile Farm (the Crocodile Farm) in Central Queensland. The Crocodile Farm was established in 1981 and there are over 5,000 crocodiles on the farm today. (e) the handling of crocodiles other than in a training course. The Applicant expressly disavowed any reliance on his own personal protection as founding an occupational requirement to possess a handgun. This is of some significance given that the Respondent contended that personal protection cannot, in point of law, constitute an occupational requirement pursuant to s 11 of the Act (and relied upon the decisions of Osborne v Commissioner of Police, New South Wales Police Service (Osborne) and Bergmann v Commissioner of Police (Bergmann). In light of the Applicant’s stated position, it is unnecessary to decide this point. Nevertheless, I consider it arguable that, if it is a genuine requirement of an applicant’s occupation that he or she have use of a weapon for personal protection, s 11(c) may be satisfied. First, each of Osborne and Bergmann were based on the weapons legislation in the respective states of New South Wales and Western Australia which expressly provided that an applicant does not have a genuine reason for possessing or using a firearm if the applicant intends to possess or use the firearm for, amongst other things, “personal protection”. No corresponding provision appears in the Act. Secondly, in my view, it is at least arguable that personal protection as part of occupational health and safety is not mutually exclusive with possession of a weapon being an occupational requirement (including an occupational requirement for rural purposes). However, a decision on this issue should await a subsequent case where the issue is squarely raised for determination. Pursuant to s 11(c) of the Act, an applicant must establish that it is a genuine requirement of the applicant’s occupation that he or she have and be able to use a weapon of the type sought to be licensed (in this case, a .357 calibre handgun being a concealable firearm). The occupational requirement must be an existing one not a potential one (being one fact upon which the applicant’s case in Cseke foundered). As noted above, the Respondent did not contest that the Applicant was engaged in dangerous occupational activities involving crocodiles or that use of a rifle could be considered to be an occupational requirement in the course of those activities. The thrust of the Respondent’s case was that such a requirement could be met by the use of a rifle rather than a handgun. In my view, having regard to the evidence which will be discussed below, the Applicant’s activities do provide a reason for possession of a firearm as an occupational requirement. The critical issue is whether the occupational requirement is satisfied by use of a rifle rather than a handgun. (b) in any event, even if it were “impractical” to use a rifle in such circumstances it was not “impossible” and the occupational requirement to possess a weapon could be met by use of a rifle. 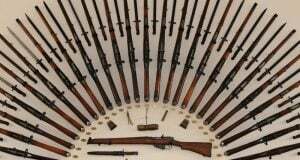 The Respondent relied upon the decision in Bergmann to contend that a .357 calibre revolver was not suited for killing a crocodile. 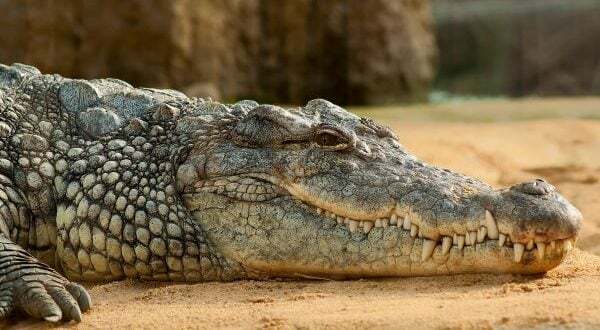 In that case, it was found that the handgun was not so suited and that a .308 rifle was a minimum calibre required for the killing of a crocodile. However, that was a factual finding based upon the evidence before the Tribunal. In the present case, it is a factual question to be decided having regard to the evidence before this Tribunal. The Respondent did not call any evidence in relation in relation to this issue. The Applicant gave evidence that he had killed a crocodile with a .357 Sturm Ruger handgun on two occasions. In each case, the crocodile was put down as it was ailing rather than in an attack scenario. My work and experiences with long and short arms on my station, Carmor Plains and throughout Arnhemland in the Northern Territory has been extensive. I have been heavily involved in hunting safaris for 27 years and crocodile harvesting and egg collecting for 17 years. Whilst a long arm is used a lot in the safari industry with big bovines like wild cattle and buffalo, the most practical and safe firearm when working or handling crocs is a handgun … this is not my opinion, it is a fact. I cannot imagine using a long arm in any safe or professional manner when relocating or harvesting crocodiles. Same applies to collecting croc eggs from a nest defended by one or both parent crocodiles. You need 2 hands to safely hold and use a long arm. You also need 2 hands to do this type of difficult work. And where might the long arm be when you need it? Probably left on the ground, or in the mud, (or in the water … not ideal!) or in the bottom of the boat. So when (not if) a dangerous situation arises, where is your firearm …well out of arms reach, god know where exactly … especially if working at night. Without exception the only firearm I use for safety when working around crocodiles in the NT, is a handgun, revolver or pistol, preferably in a stopping calibre of over .38 calibre. The handgun is safely stored in a holster on your hip, ready for use if required. Following calibres are adequate in my opinion. 357 magnum, 38 super, 40SW, 44 mag, 45 colt or bigger. A 9mm is too light of a calibre for stopping a large male crocodile with intent. In my view, Mr Kelman’s evidence that a .357 magnum is adequate to stop a large male crocodile corroborates the Applicant’s evidence that he used a .357 calibre handgun to kill a crocodile on two occasions. In the absence of any contrary evidence, I find that a .357 calibre handgun is sufficient to kill a crocodile if required. The remaining issue is whether it is an occupational requirement of the Applicant that he possess and use a .357 calibre handgun. It has been suggested that I could use a rifle instead of a handgun however there are several reasons why a rifle was not selected as the weapon of choice. Rifle will occupy both hands leaving no alternative action possible. There is an increasing emphasis placed on duty of care to those you employ, the people you train and the general public. I see police and security guards wearing side arms and not carrying rifles and would argue that the same factors apply – a rifle is an inappropriate firearm to carry around in public, it restricts the operator to a 2 handed operation leaving no other physical alternative other than to point and shoot. The handgun however permits alternative use with the free hand. In cross-examination, the Applicant said that it was now his current practice to carry the handgun on his hip (in a holster) although when in a 12 foot boat (a “Tinny”) his practice was to keep the handgun in a bucket at the front of the boat (which would avoid issues such as harpoon lines being caught on it). The Applicant said that having a rifle in a boat was not practical as there was no space in the boat for a long arm rifle and it could get caught up in lines when the crocodile thrashes around. I was approached by [the Applicant] to explain independently, and from my personal experience, the reasons why a handgun is essential for meeting OH&S obligations to himself and staff, when working with Saltwater Crocodiles, in both farm and wild contexts. I fully support [the Applicant]’s application to retain his license for a .375 revolver. I do this from the view point of having worked with Saltwater Crocodiles for 45 years, in both captive and wild contexts, and of being Chairman of the IUCN-SSC Crocodile Specialist Group, with 612 members in 64 countries, who all work with crocodiles. Saltwater crocodiles (Crocodylus porosus) are the largest and arguably the most dangerous crocodile in the world. Within Australia large males can exceed 5+ m long and 750 kg, and research has shown that attacks on people by crocodiles 4+ m long are almost always fatal. Survivors from attacks of large crocodiles, often due to the actions of other people, have consistently indicated that had they had a handgun present they could have used it to dispatch the crocodile that had caught them. Despite procedures developed over the years for minimizing risk, by people such as [the Applicant], the fact remains that crocodiles can shift from completely immobile to 100% activity instantly, because they rely on anaerobic metabolism. Hence, people working with crocs need to always be prepared for a situation to shift from no danger, to absolute danger with injury and potential death, within a second. Having a rifle of shotgun available is totally impractical with the need to use both hands when manipulating ropes, ties and other procedures. During egg collection, a percentage of adult females defend their nest and can do so with rapid charges from the water. In wild situations nests are surrounded by tall reeds, are often on floating rafts of vegetation, and once again a rifle is simply impractical to use. We have all tried it and it just does not work. Having the rifle in the hands of nearby people inexperienced with crocodiles is equally dangerous, because in the explosive activity that takes place, inexperienced people are just as likely to shoot the person rather than the crocodile (as has happened). [The Applicant] has many years experience with handling crocodiles, and capturing rogue crocodiles, and is often in situations where he has a duty of care to staff, visiting researchers and students. Some of his research (eg artificial insemination) requires the capture and restraint of large male crocodiles (4m+) regularly during the mating season. In cross-examination of Professor Webb (by telephone) by the Respondent, it was suggested that an additional person may be employed to hold the rifle. Professor Webb said that such a proposal was “completely impracticable”. He suggested this could not work if descending from a helicopter or in a group situation where there was no room to manoeuvre a rifle. He maintained that the use of a revolver was needed in a case of emergency. I accept Professor Webb’s evidence, particularly in the absence of any evidence to suggest that use of a rifle would be a practical alternative to a handgun. I also refer to the evidence of Mr Kelman set out in paragraph  above and, in particular, the need to use two hands in dealing with crocodiles and the need to use two hands to fire a long arm weapon. The Applicant was also asked in cross-examination whether a fold-down rifle would work as an alternative to a handgun. The Applicant said that it was not practical. The Respondent did not lead evidence in relation to this issue (for example, what fold-down guns were available, how they could be folded down, how quickly they could be set up and how practical they would be in confined spaces). I cannot be satisfied that a fold-down rifle is a suitable alternative to a handgun in the context of the activities undertaken by the Applicant. Having regard to the above evidence, I am satisfied that it is a genuine existing requirement of the Applicant’s occupation that he have and be able to use a .357 calibre handgun in the course of his occupational activities and that use of a handgun rather than a rifle is not merely a matter of convenience or preference but is a matter of necessity. The requirement is one of protection of persons comprising members of the general public and also trainees and researchers in the circumstances identified in paragraph  above. Saltwater crocodiles are highly dangerous animals, protective of their eggs and able to shift from a resting state to an attack state within a second. The activities identified by the Applicant are sometimes carried out at night and sometimes on boats in a confined space with the use of harpoons and ropes and other apparatus. I find that both hands are often needed carrying out such activities and that it is infeasible to do so and have ready access to a rifle in the event of a sudden attack by a crocodile. I also find that the use of a rifle carries with it greater risk of accidental injury over and above a handgun in group situations and confined spaces. In short, in the course of the Applicant’s occupational activities, a rifle is not an appropriate, suitable or adequate alternative to a handgun, specifically a .357 calibre handgun. (c) the weapons, the subject of the licence, are to remain in secure storage at all times save when being possessed or used in accordance with the licence, unless otherwise authorised, justified or excused by law. (a) The Respondent’s decision to reject the Applicant’s application under the Weapons Act 1990 (Qld) to renew his Concealable Firearms Licence is set aside. (b) The Applicant’s application to renew his Concealable Firearms Licence is approved. (iii) the weapons the subject of the licence are to remain in secure storage at all times save when being possessed or used in accordance with the licence, unless otherwise authorised, justified or excused by law. As to the question of costs, given that the Applicant was self-represented; that he was not required to arrange for witnesses to give evidence in person; that the Applicant was afforded natural justice by the Respondent in relation to the decision; and that the Respondent genuinely attempted to enable the Tribunal to make a decision on the merits, I consider it is appropriate that, consistently with s 100 of the QCAT Act, each party to the proceeding must bear the party’s own costs of the proceeding. The Application to review was filed on 1 November 2017. Certificate under s 163 of the Act signed on 3 January 2018 under the hand of Acting Sergeant C C Moore. 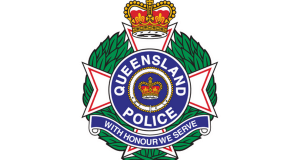 Cseke v Queensland Police Service (Weapons Licensing Branch) & Anor (“Cseke”)  QCA 466, ,  (Chesterman J, with McPherson JA and Mackenzie J agreeing). The thing I find interesting in both of these cases, is that WLB has suggested the use of a “fold-down” rifle. Do they mean a folding stock, which I understood to be illegal for possession or use in Qld? Folding stocks are illegal in NSW but quite legal in Qld so long as the firearm cannot be fired whilst it is less than 75 cm long (folded down).